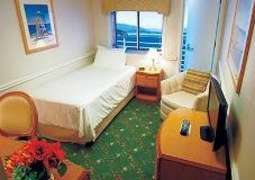 All staterooms are between 18-55m² and outfitted with the best amenities. 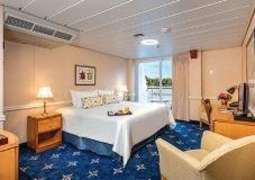 Every stateroom offers a magnificent view, and most include a spacious private balcony for quiet relaxation. Menus are adjusted seasonally to best utilize local fruits and vegetables at their peak of freshness. Meals are served in the Main Dining Room where every seat offers a panoramic view of the passing scenery. Guided shore excursions are available at every port. On board you can attend informal lectures, open discussions and activities that bring local history, nature and culture to life. In the evenings you can expect professional showboat-style entertainment. Casual resort attire is recommended both on the ship and ashore. American Cruise Lines also recommends its guests to bring comfortable walking shoes, a hat, light rain wear, and a jacket for cool evenings.